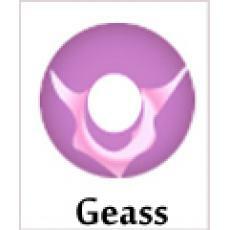 Geass appears as a glowing red, bird-shaped sigil in one of the user's eyes when activated. Legends of Geass have existed since the dawn of mankind, and the Mayan citizenries of the Aztec Empire are often mentioned as the most knowledgeable ancient civilization about Geass. It is said that Geass is awarded to humans by beings known only as Immortals. According to legend, the Frenchman Nostradamus could foretell the future and was remarkably precise. Some believe that Nostradamus may have had Geass, which was what allowed him to predict the future. Give people an absolutely wild look with Coco Contact’s Geass Wild lenses. Made with different hues of pink, your eyes will look nothing less than tantalizing. Match it with your outfit or wear it for an exciting night out, you can never go wrong with a pair of Geass contacts.